Check out Tobi's Distressed Out Cropped Sweater Looking for an instant connection? 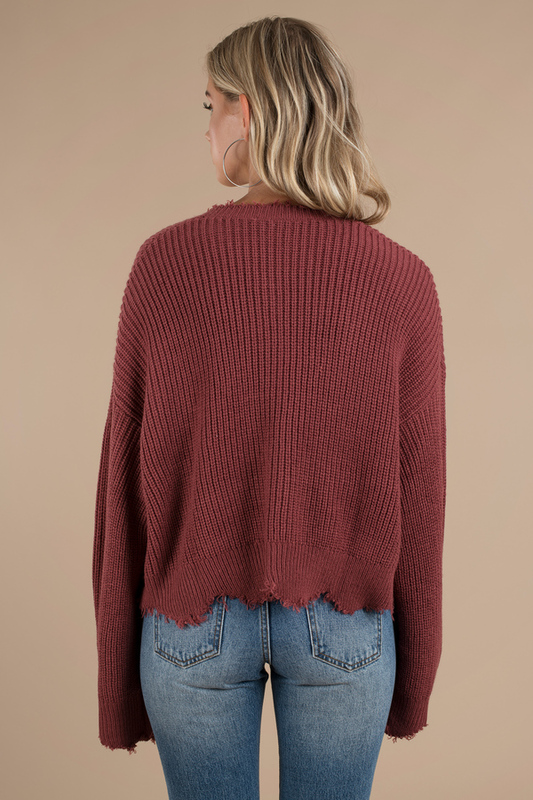 We've cropped and distressed this sweater for a love worn look: with its frayed edges and relaxed oversized fit, you'll feel like the Wine Distressed Out Cropped Sweater has been in your closet for years. Do double distressed with ripped denim and this slouchy sweater will shine. Looking for an instant connection? 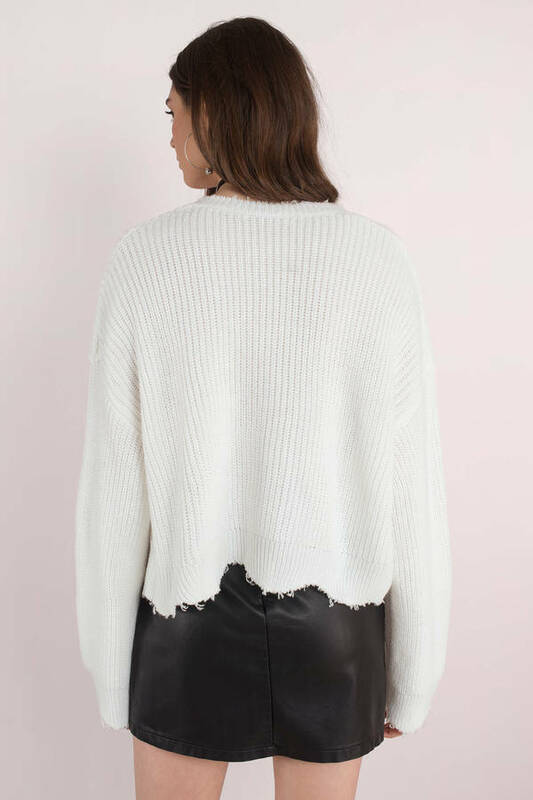 We've cropped and distressed this sweater for a love worn look: with its frayed edges and relaxed oversized fit, you'll feel like the White Distressed Out Cropped Sweater has been in your closet for years. Do double distressed with ripped denim and this slouchy sweater will shine. Looking for an instant connection? 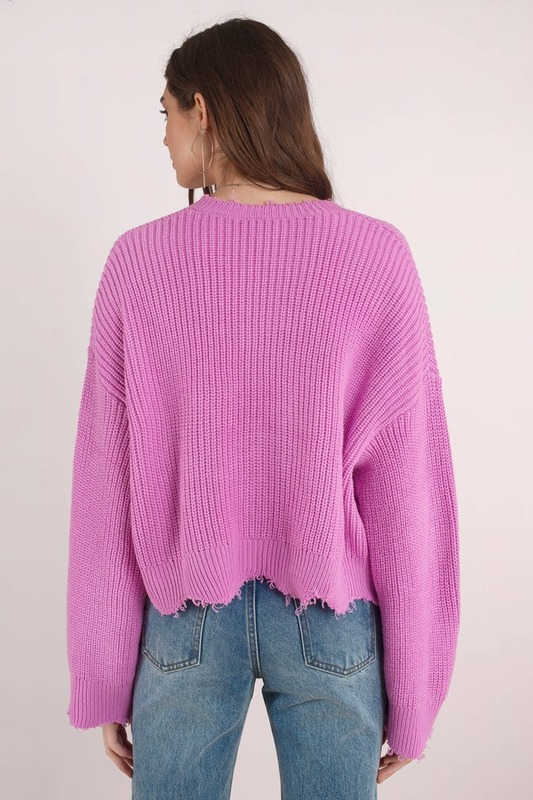 We've cropped and distressed this sweater for a love worn look: with its frayed edges and relaxed oversized fit, you'll feel like the Pink Distressed Out Cropped Sweater has been in your closet for years. Do double distressed with ripped denim and this slouchy sweater will shine. Looking for an instant connection? We've cropped and distressed this sweater for a love worn look: with its frayed edges and relaxed oversized fit, you'll feel like the Wine Distressed Out Cropped Sweater has been in your closet for years. Do double distressed with ripped denim and this slouchy sweater will shine.